Atlanta Steel Pan & Island Music performances invite Interaction and Audience Participation perfect for Corporate Team Building, Ice Breakers or any Social Occasion. CO-CREATE RHYTHMS WITH YOUR ATLANTA TEAM OR COWORKERS! 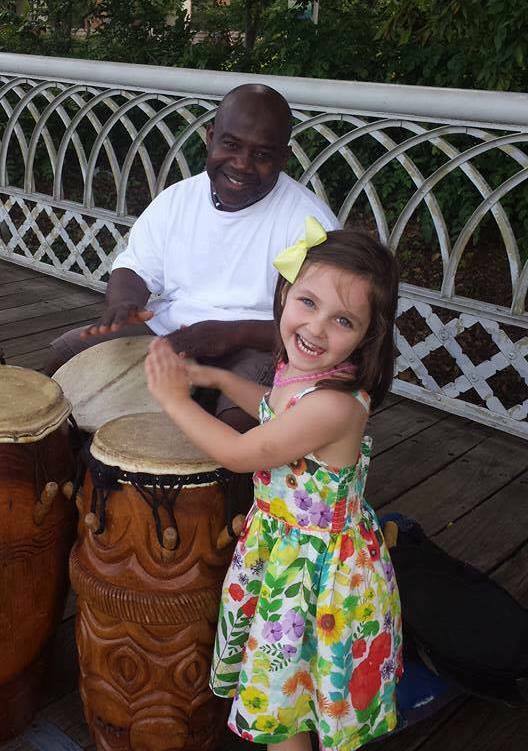 Atlanta Steel Pan & Island Music can provide customized interactive musical programs and performances to create a unique rhythmic event for your group. EVERYONE CAN DO IT! MUSIC IS A UNIVERSAL LANGUAGE! Make friends! Achieve social bonding and communication within a fun, energetic atmosphere! FIND YOUR RHYTHM! Interactive music reduces stress, promotes relaxation and fun, and energizes! Pick up a few techniques and develop an understanding of simple rhythmic patterns and relationships. Discover your own inner musician while playing games and experimenting with different instruments with Atlanta Steel Pan & Island Music musicians!